Kennel cough, also known as tracheobronchitis or Bordetella is a viral or bacterial, highly contagious canine disease. Its microbes spread through air and usually affect dogs living in areas with poor air circulation. However, kennels, doggy day cares and pet shelters are not the only places where a dog can develop this disease; your pet can even ‘catch’ it at the vet’s clinic or at a park where dogs congregate. In this guide we will study kennel cough treatment, the best antibiotics for it and also ways of preventing it. What are symptoms of Kennel cough? How long does it last? 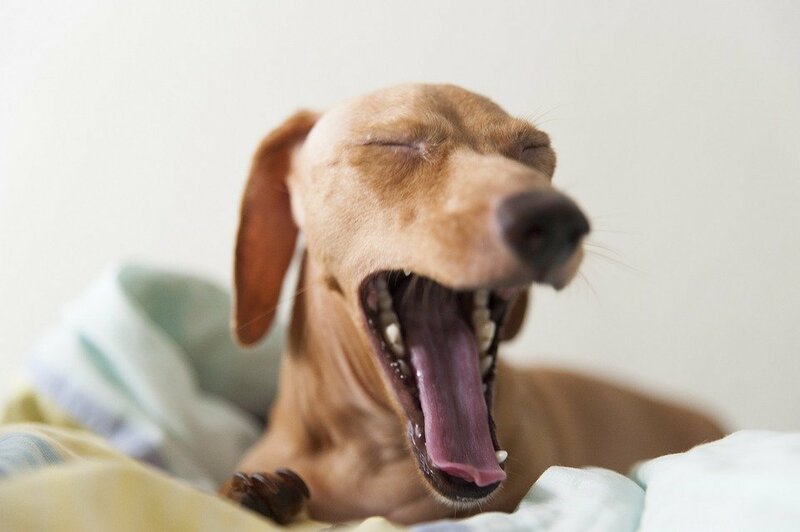 Dogs with kennel cough have a honking, dry cough at the end of which they may even gag or retch. It might even appear that the dog is about to vomit. The coughing worsens after the dog is exercised or gets excited. Some dogs with this disease throw up frothy material and may have watery discharge from eyes and mouth. Mild cases of kennel cough usually last for about 7 to 10 days. Serious cases can last for 14-20 days and may be accompanied by fever, lethargy, lack of appetite etc. If your dog has persistent hacking cough for over 7 days, call your vet. Do not take your pet to the clinic as he could infect other dogs. Your vet will decide whether the symptoms are serious enough to examine him. Most vets prescribe medicines over the phone. It is best to rest your pet until the coughing symptoms disappear. 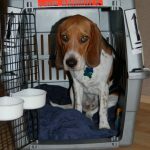 Do I need to give kennel cough antibiotics? The disease is usually not serious and many vets do not prescribe any medication other than cough suppressants for it. However, in some cases, the dog may develop pneumonia which can be serious and may need antibiotics or hospitalization. The best prevention for kennel cough is vaccination. However, it is not a foolproof method since the disease can be brought on by various different pathogens. Thankfully though, vaccinated dogs that develop the disease show milder symptoms and also recover faster. The most effective vaccine against Bordetella and parainfluenza which cause kennel cough is an intranasal or subcutaneous type of vaccine. It contains the virus in a modified form which can cause cough symptoms in your pet for a few days post vaccination. During this period, your dog could transmit kennel cough to other dogs in its vicinity. Because of these reasons, most veterinarians only prescribe kennel cough vaccine to dogs having a high risk of infection. This includes dogs that compete in shows, are always at the doggie daycares or in close contact with multiple dogs. Puppies at 8-12 weeks can be vaccinated. There is an intramuscular Bordetella vaccine (CPI and CAV2 vaccines) that can be incorporated into routine immunizations. These can help decrease prevalence and severity of kennel cough symptoms. Which dogs are most susceptible to this disease? As stated above, frequently boarded dogs, dogs that compete in shows, go frequently to grooming stations, toy breeds and stray dogs are most at risk. Puppies in daycare may develop kennel cough and nasal congestion simultaneously and need frequent care to loosen mucus secretion, improve breathing and prevent pneumonia. Can kennel cough harm humans around the infected dog? Some reports suggest that Bordatella virus can harm elderly people, infants, people with HIV or AIDS and other immune-suppressed diseases. Therefore, it is best to keep coughing dogs away from such humans. 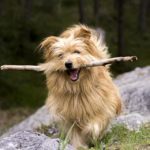 What to do if your dog has persistent cough? If your pet is extremely lethargic, has fever and is refusing food, you need vet-prescribed kennel cough antibiotics and/or bronchodilators (drugs that dilate the breathing passages). Antibiotics include tetracycline and trimethoprimsulfa. Continue the drugs for 7 days or as advised by your vet. Isolate the infected dog immediately. Make sure its quarters are warm and well ventilated. It helps to run a humidifier in the room. Cool mist vaporizer is better than a hot air humidifier. Keeping the dog in a steamy shower bathroom can also help. As stated before, a severe form of tracheobronchitis can lead to low grade fluctuating fever, moist productive cough, depression, lack of appetite, wheezing, rapid breathing and nasal discharge along with resistance to exercise. This form of kennel cough requires hospitalization. It is very painful to watch your pet wheeze and cough as if something is stuck in its chest or throat. However, in most cases, kennel cough is not serious, or it is as serious as a human being having a chest cold. If your pet continues to wheeze and cough for several days, shows lack of appetite and is producing greenish, yellowish discharge, then it is imperative that you contact your vet immediately. Presence of these symptoms could indicate much bigger problems especially in puppies and elderly dogs. 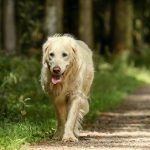 Ear Mites In Dogs - What Are The Symptoms And How Do You Treat It?